A tiny, high quality rhodium-plated elongated heart is hand stamped by me with "brave". A great daily reminder for any woman each day. 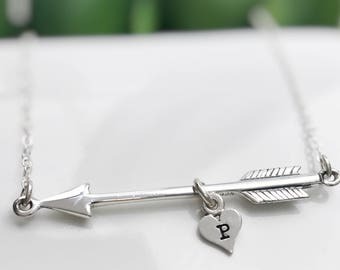 The heart measures 1/2" from end to end, and is assembled by hand with all sterling silver components. Your choice of 16", 18" or 20" chain. 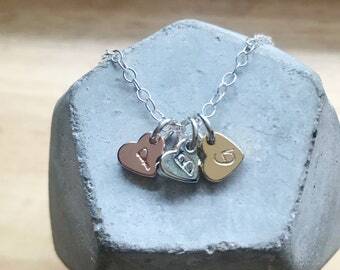 Each piece is made to order so I can stamp any word (up to 5 characters) on the heart. Just leave the word you'd like in the notes section at checkout. 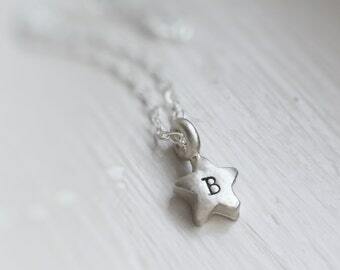 Your new necklace will arrive in a cotton-lined gift box tied with pretty ribbon, ready to give as a gift. 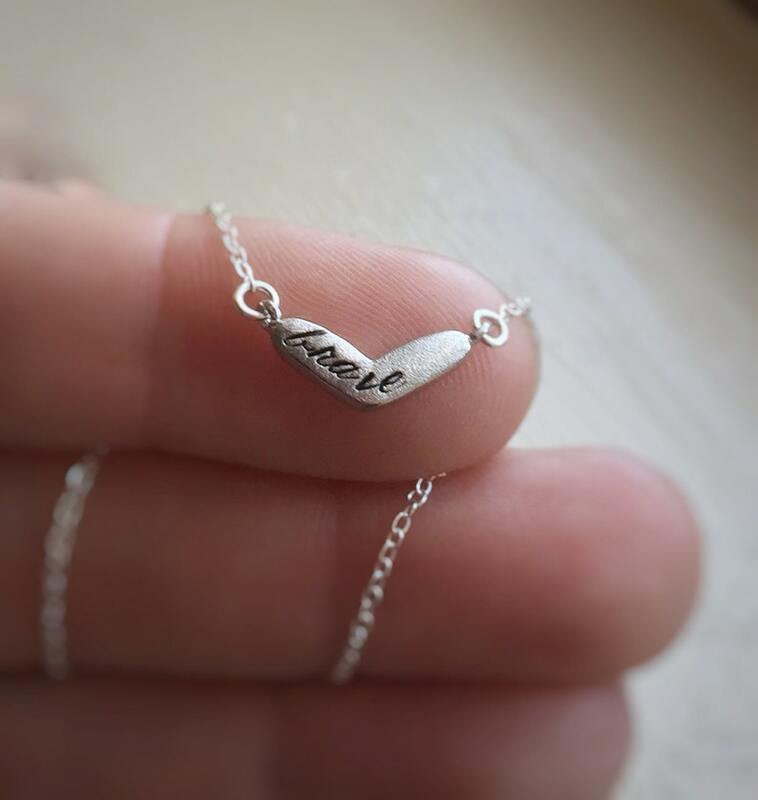 This necklace is exactly as pictured. 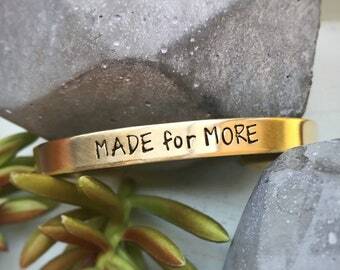 I bought it as a birthday gift for my soon to be 17 year old granddaughter and I’m sure she will love it! So cute and pretty. It's the perfect size and really unique. I love it.